Continue learning about setting up a fast local Kubernetes cluster for testing by checking out how to deploy your services in Docker containers. In the second part of this series, I will describe how to set up a local Kubernetes cluster for test purposes with a minimal memory usage and fast startup times, using Docker in Docker instead of traditional local virtual machines. 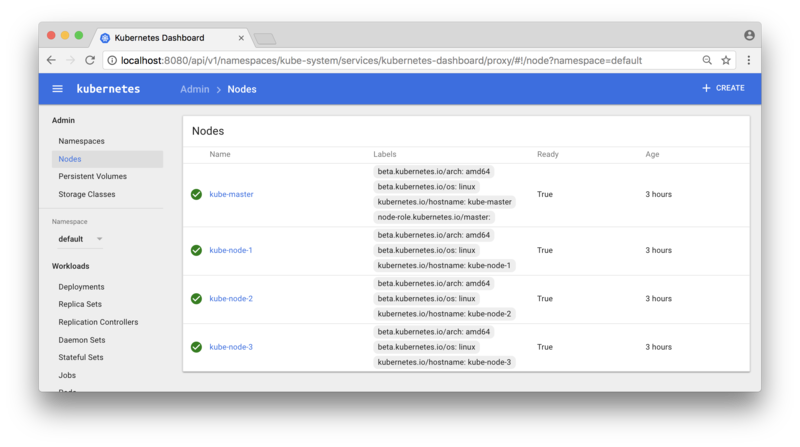 This blog post is not an introduction to Kubernetes and the components that build up a Kubernetes cluster. For an introduction to the concepts used in Kubernetes see kubernetes.io/docs/concepts/. First, you need to have Docker for Mac installed, I’m on the version 17.09.1-ce-mac42. Also try out Kubernetes Dashboard at localhost:8080/ui. Note: In a more production-like environment, we should also set up an external load balancer, like HAProxy or NGINX in front of the Kubernetes cluster to be able to expose one single entry point to all services in the cluster. But that is out of scope for this blog post and left as an exercise for the interested reader. This can be used to verify that scaling of a service actually works. In the output from a scaled service, we expect different values in the ipAddress - field from subsequent requests, indicating that the request is load balanced over the available pods. Now, go back to the “deployment watch” - command and see what output it produces! Look out for the the the next part in the series where you will learn how to create multi-platform Docker images. Published at DZone with permission of Magnus Larsson , DZone MVB. See the original article here.